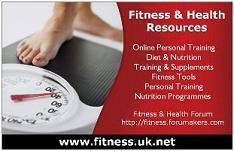 Fitness & Health Forum :: General :: Unhealthy Section! Generally, the context in which an individual lives is of great importance on health status and quality of life. It is increasingly recognized that health is maintained and improved not only through the advancement and application of health science, but also through the efforts and intelligent lifestyle choices of the individual and society. According to the World Health Organization, the main determinants of health include the social and economic environment, the physical environment, and the person's individual characteristics and behaviors. i read your all paragraph. i have a question in my mind can give answer?? what is the most important thing to live individual?? Why the WHO is working for ??? The most important thing to live individual is that you better learn your responsibility and your work/goal. It brings a freedom for you.